SturbanClothing sponsored artist JUTTLA has been making a name for himself on the Asian music scene for the last few years remixing Asian Dub Foundation, Fundamental, Banco De Gaia, Wayward Soul, Awia, and many more. JUTTLA is also known on the DJ circuit and has played venues in all over the UK including the legendary Glastonbury Festival twice! He is also know on the international DJ scene and has rocked dance-floors in Cape Town (South Africa), Amsterdam (Holland), Brussels (Belgium), Paris (France), Warsaw (Poland) and Rome & Sicily (Italy). 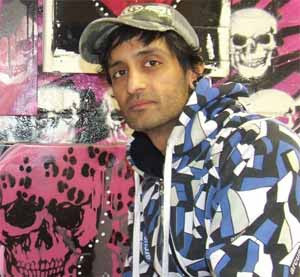 His new album ‘At War With Satan’ is his first Dubstep album and has already received plays from Bobby Friction, Nihal, Annie Mac, Nerm & D-Code on BBC Radio 1, as well as numerous plays on Galaxy FM, BBC Asian Network and HHBRadio.com. 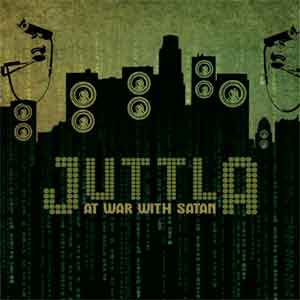 JUTTLA will also be doing a UK Tour in September and an official album launch party in London. ‘At War With Satan’ features fourteen brand new tracks which have been available on CD before. Featuring the singles ‘Dub Dragon’ and ‘Ramp With Me’, as well as a bunch of other brand new tracks. JUTTLA is without a doubt one of the true pioneers of the whole Asian underground music scene and this new album shows his growth as a producer. As a drum’n’bass producer his music has featured on compilations alongside Goldie & Mickey Finn and as an Urban music producer he did official remixes which featured the likes of The Game, Freeway, Slim Thug and more. Now moving into the whole of Dubstep with his unique twist, JUTTLA has already started working on his next album which promises to features some well known names from the UK Urban scene. This album is a future classic. Call it Dubstep, call it Leftfield, call it Dance, call it Electronica, call it Asian, call it whatever you want, but we call it ‘At War With Satan’! JUTTLA and the Eastern Pressure Records label have come good once again. Expect more ground-breaking music from Eastern Pressure Records in the future as they promise to deliver the cream of the crop from the Asian music scene as well as some more artist albums.